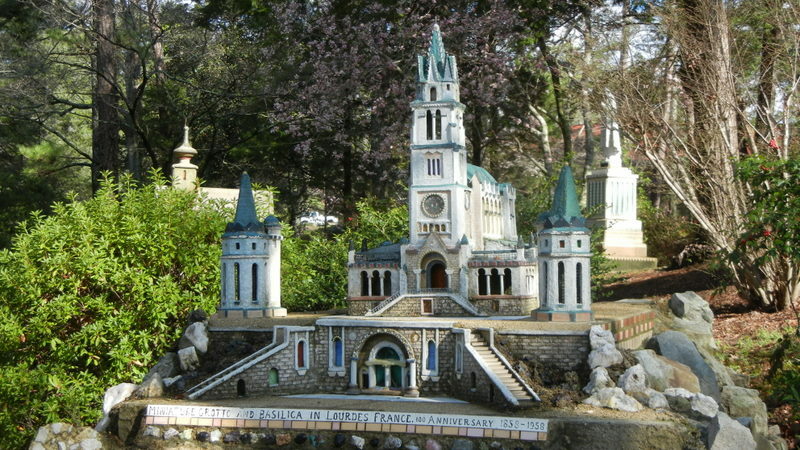 We arrived at the Ave Maria Grotto in Cullman just after it opened at 9:00AM. We had the whole place to ourselves. Our guide was a Calico cat that led us around the entire property. 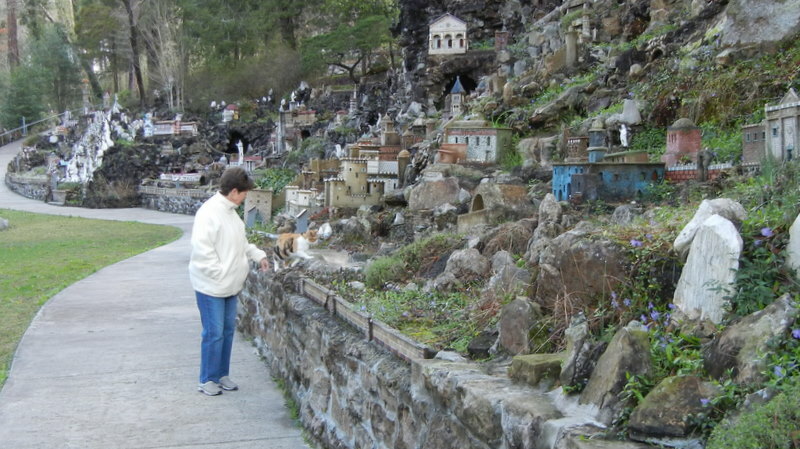 The Grotto is built into a steep gully and located at a Benedictine Abby and school just east of Cullman on US278. It is only a few miles from I-65. 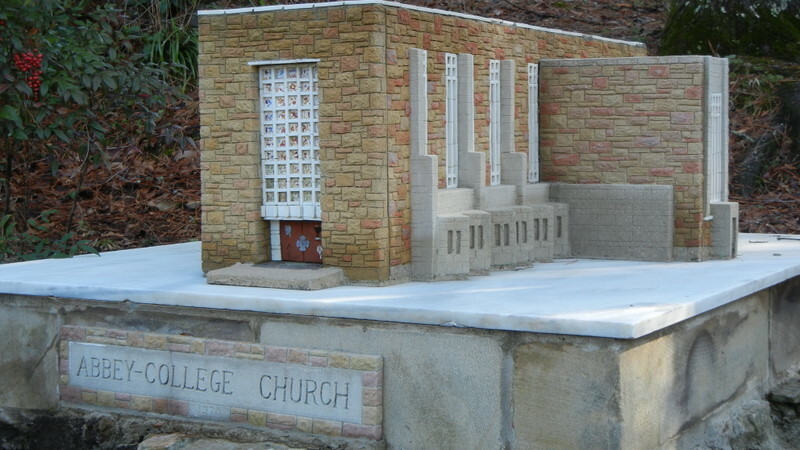 Brother Joseph Zoettl created some 125 miniature replicas of religious structures both old and modern. 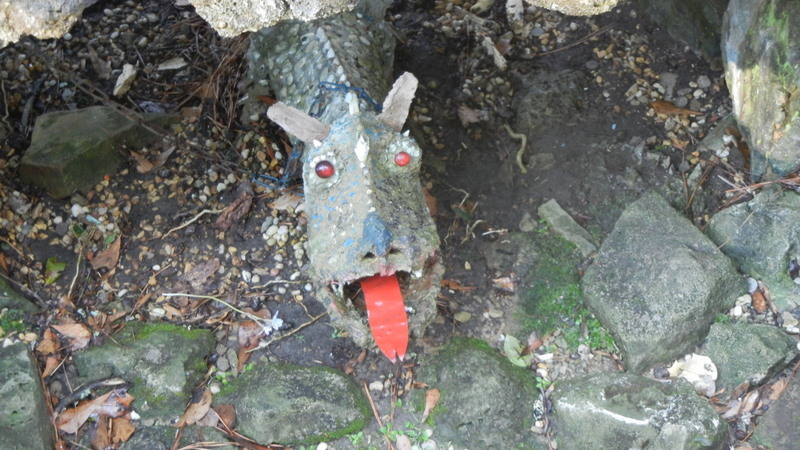 B. Joseph also had a sense of humour (see dog). It was an enjoyable tour and got the day off to a good start. We were home at noon and began the task of unpacking, cleaning, and going through 2 months of mail. I'll make one more post with a map of our trip and some statistics in the next few days. This summer we head for Alaska.